We stand by you as you recover. We are here by your side as you adjust to your retirement lifestyle. When you or your loved one is diagnosed with chronic illness, we will be the hands that give you physical assistance, while our hearts can be your source for understanding, patience and emotional support. Our services may be structured but they were designed with inspiration. We are inspired to provide professional care that improves lives. At home, these services can be provided to you or your loved one. 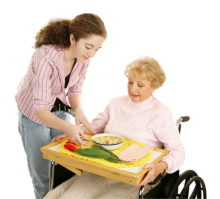 Talk to a care coordinator now – call 202-400-0849 and get started with any of the listed home care services at Divine Health Home Care Agency, Inc.